Welcome to a new week, readers. 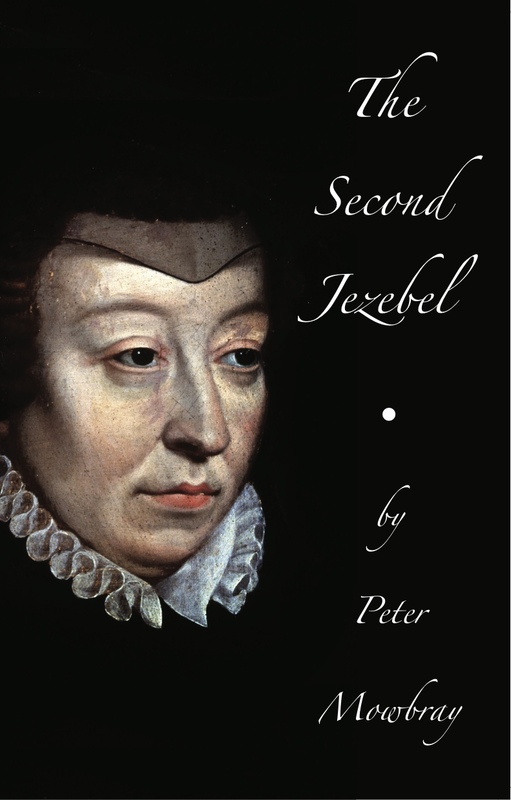 Peter Mowbray is here today and we’re talking about this new historical fiction novel, The Second Jezebel. Welcome, Peter. Please tell us a little bit about yourself. My name is Peter Mowbray, I am a “young at heart” 56-year-old, married to Sally and have 2 grown up sons Oli and Ross, we live just outside the regatta town of Henley on Thames in Oxfordshire England. I work as an office administrator for a conference and event production company. I’ve always had a passion for history, even as a young child, and was fascinated by one particular character from sixteenth century European history - Catherine de Medici. From the infamous Medici family, who became a Queen of France. From what I had read and learned, I decided to put together my own interpretation of Catherine’s story. After studying for and gaining a diploma in historical writing I wrote my first novel – The Serpent of the Valois which was self-published in 2013. My intention is to learn and write more about some of the fascinating characters that have lived and loved, and who have a story to be told. The book is centered around the 16th Century French Queen, Catherine de Medici and her struggles to preserve herself and her family against a backdrop of religious conflict and danger from powerful families who will stop at nothing to destroy her. As Catherine fights with any weapons at her disposal, be they bribery, cunning and even poison, she must also do battle within her own disjointed family, seemingly intent on destroying one another. I have always loved history and came across her by chance whilst browsing a book in the local library. How very wicked this woman appeared to be - I was intrigued to discover more! Catherine smiled sweetly at him, and walked slowly to the covered object on the silver tray that had been delivered earlier. “Ah yes, and so we come to the Admiral,” she said with a cold voice, bereft of all emotion. “Your mentor will not however be joining you in council. As you will see, he has already paid the price for his treachery.” At that moment, she lifted the velvet cloth and there on the tray was the severed head of Gaspard de Coligny, its skin now thin and grey, his face still covered in blood, now cracking and peeling. His previously full beard had been savagely cut so that little remained. His eyes were cast over and sinking back into his skull and the crude cut of his throat had set the head at an angle. Charles stared as though transfixed, but said nothing. My next project is based around the later life of Edward II King of England. Intriguingly, this first ever king to abdicate was supposedly murdered – particularly brutally. However, a letter unearthed from Italian archives in the 18th century suggests that he in fact escaped, living out his remaining years as a hermit in a distant Italian monastery. Not until after my completion of diploma course in historical fiction writing. Before that I was trying to just put words on paper. Once I learned a bit more, I considered so much more – atmosphere, characters, situations etc. I don’t write full-time unfortunately, I have a job as a general manager working for a company that create conferences and live events, supplying all technical multimedia support. I almost always write at night or in the early hours, for me it’s the best time, the house is quiet, and I’m surrounded by all my beloved history books! The inspiration comes at odd times though, and I tend to carry a notepad with me, just in case something creative comes to mind!! I seem to have developed a habit of basing a character on someone I know – either a family member or friend. I don’t tell anyone which character, for some reason I seem to enjoy deciding their ultimate fate!! Either an actor or a writer. I think both are a means of escape into a different world! I’ve tried to use the medium of writing as a means of controlling the clinical depression that I have suffered with for almost 30 years. It certainly has helped me at times in the past to try and focus on something tangible. What I write may well be rubbish and abandoned once I am feeling more in control, but it is cathartic – if all I do is type something that I eventually delete, I have achieved something! It doesn’t always work to advantage unfortunately, In The Second Jezebel, I wrote about the death of one of the main characters and I cried my eyes out when it was done! I was sad for so many days after – but I kept it in, and I’m glad I did. Thanks for being here today, Peter. Happy writing. Lisa - thanks so much for hosting me and giving me a chance to connect with all your followers! Great to also read other interviews - some inspiring writers to learn from!